Remember when Video Cassette Recorders were new? We got a Sears-branded, top loading, VHS machine around 1983 well after this 1978 ad appeared so I seriously doubt my Dad paid anywhere near $700 bucks for one. I remember the year he brought it home because I used it and the one 90 minute cassette it came with to tape the final episode of M*A*S*H. I wasn’t a big fan of the show, but its ending was being hyped as something as important as the moon landing so it seemed a reasonable test for the new machine. I watched it, saw that it worked, and I think I taped The Beast Within over it. Before we got our VCR, there was a classmate of Brian Bubonic’s who had one. He probably was the first kid in town to have one. We would rent tapes from a combination liquor/video store in Woodbury, NJ. It was one store with 2 separate entrances – one for booze and the other for mostly exploitation films on video tape. This was back before the major video chains came and went. Video rentals were the province of mom-and-pop operators who found they could make a lot of money renting movies. They could make even more if they rented skin flicks. At the dawn of the video era, the major studios seemed leery about the whole home entertainment movement. They didn’t take it seriously. VCRs were sold for taping broadcast shows while you were away or watching something else. Why would anybody buy movies on tape? Schlockmeisters did take it seriously, and I remember a lot of Godawful crap being among the first films available for sale. They were outrageously expensive – at least $100 – for films that seemed about as good as the third feature at the drive-in. I think they were priced with rental outfits in mind. I think we rented and watched every cheese-ball, exploitative atrocityÂ that combo liquor/video store had. We were teenage gorehounds looking for the scariest movie ever made. We never did find it, but we did see gallons of stage blood that looked like poster paint, the occasional decapitation or hacked-off extremity that was obviously fake, lots and lots of T&A, and casts of thousands of washed-up, has-been stars mixing it up with never-would-be starlets who were somehow convinced that disrobing in a Grade Z horror flick was the ticket to stardom. 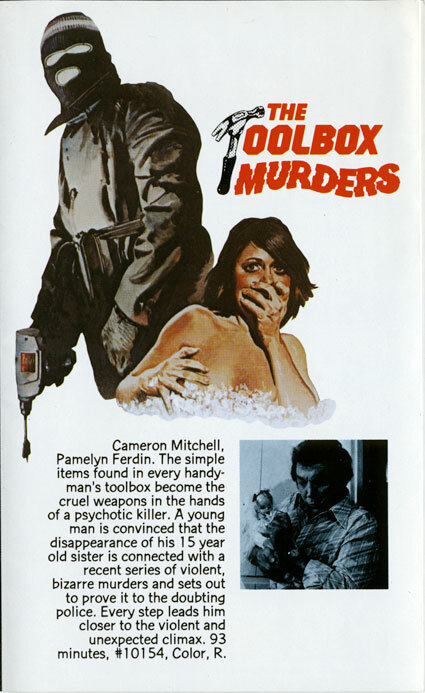 We rented Toolbox Murders and wondered what the hell happened to Cameron Mitchell. He was in High Chaparral! What was he doing murdering a bevy of scream queens with a True Value circular’s worth of hardware? Did he need the work? Did he read the script before-hand? The ad above and several others were from a brochure for VCI Home Entertainment which I probably picked up from that liquor store and recently uncovered. When I looked at it, a wave of nostalgia for those tacky times washed over me. It gives you a pretty good idea of what was available back in the dawn of the home video revolution in the late ’70s/early ’80s. 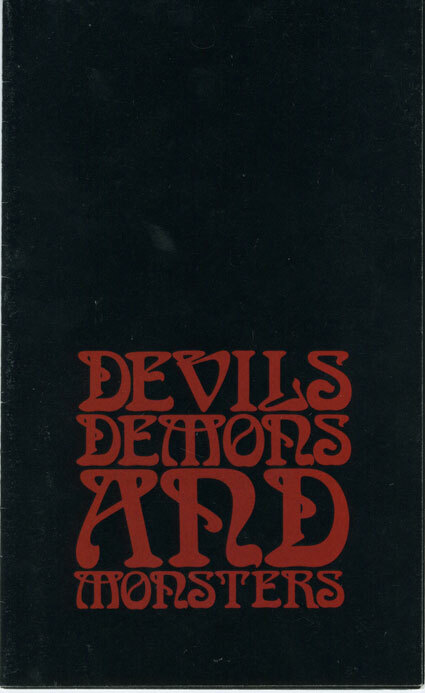 In the coming weeks, I’ll feature more ads from this brochure. Some of these movies have been remade. Others can be found at the dollar store on DVD. Stay tuned. â€¦and remember to adjust your linear tracking for best picture quality! This entry was posted in Blast from the Past, Curious Clutter, Stuff Joe Likes and tagged exploitation, gore, horror, mom-and-pop, Toolbox Murders, VCR, VHS, video store. Bookmark the permalink.